The days of one family doctor treating everyone in the family for their entire lives, or at least large portions of their lives, are coming to an end. More people are making their way to urgent care centers for even basic medical needs, but there could be a problem with using urgent care facilities for your basic medical needs. Our medical providers at Complete Care Medicine strive to develop a strong patient-physician relationship with each of our patients. Urgent care facilities are not really set up to provide the types of personalized services family doctor provide. At the end of the day, your medical needs are best served by a Gilbert family doctor who knows you and understands what you need. If you are looking for a place that offers the kinds of family physicians you are used to seek treatment from the professionals at Complete Care Medicine. These are medical experts who live in the Gilbert community and want to be your choice for the regular care that you need. The information you can give a Complete Care Medicine physician at a physical could be used to save your life some day, and that is made possible by the hands-on approach each of our physicians take towards their patients. Your primary care physician needs to know things that only you can tell them when it is time for your annual physical and your regular check-ups. Gilbert urgent care facilities are excellent for emergencies or sudden illnesses, but they do not offer the kind of personal interaction you need to make sure that all of your medical information is complete. At Complete Care Medicine, our physicians want to hear what kind of issues you are having so that they can make notes and create a comprehensive treatment plan that will give you optimum health. Intermittent issues can be documented for future exams. For example, if you have a rare problem with breathing and being short of breath, we may not be able to hear or catch that problem during a routine exam. But when you tell that information to your physician, they can make notes to follow up on the in the future. If you have taken up smoking or drinking alcohol since your last examination, then you need to let your physician know that information because it can have a significant impact on any future treatments. Vision and hearing issues can be treated if they are caught early. You should never wait to tell your physician about any issues you have had with your vision or hearing, even if it means making a special appointment to have the issues looked over. If you have been experiencing depression or mood swings, then that can also be treated if you let your physician know that about your symptoms. When you rely on our medical experts, then you can have regular screenings for cancer, diabetes and other conditions that would require immediate treatment. As the model for health care in the United States changes, it can be more and more difficult for people to find physicians they can rely on for these important tests. But the professionals at Complete Care Medicine are ready to discuss your screening results with you and plan a course of action. Weight loss and exercise experts usually tell people to consult with their doctor before they take on an exercise or diet program. That can be difficult if you have been relying on urgent care facilities for your basic medical maintenance. At Complete Care Medicine, you have a staff of caring individuals who are ready to be your resource for good health information. Before you start a new exercise program, you can talk to your physician and get the advice you need. All physicians want input from their patients, and they want their patients to be an active part of their own care. The more that our patients interact with Complete Care Medicine physicians, the more comfortable they feel about revealing critical information. The entire staff at your local Complete Care Medicine facility is made up of people who care about you and the entire community. It is that level of caring and the strong desire to get patients involved in their own treatment options that establishes a strong bond between our physicians and the rest of the community. It is a bond that our professional staff is very proud of, and each staff member works hard to maintain that bond. If you need urgent care, our medical office can also help. It is to your advantage to get your urgent care work done with the same doctors who deliver your routine maintenance care. Our Gilbert doctors know you and your medical history, and that makes treatment much easier for you and the doctors. Emergency rooms and urgent care facilities serve a useful purpose to Gilbert or any other community. But with more individual family doctor practices disappearing every year, too many people are turning to emergency rooms and urgent care facilities for the wrong reasons. Everyone still needs to see a physician who knows their medical history and treats them on a regular basis, and that is where Complete Care Medicine comes in. 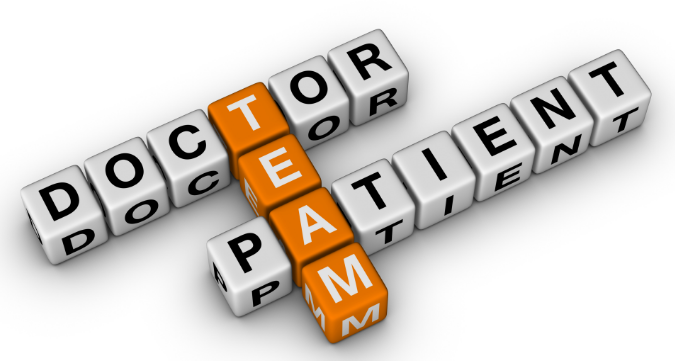 The physicians and staff at Complete Care Medicine want to be your family doctors. They want to be the people who know your medical history, and offer you important medical advice that could change your life. Instead of taking a chance that the local urgent care facility will be able to meet all of your medical needs, you should come to Complete Care Medicine and find your new family doctor.